Stampin'Up! Final day of online extravaganza sale! Tomorrow is the final day of the online sale, a week has flown by and I hope you have all taken advantage of the super bargains on offer. 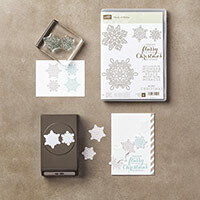 As a final gift to you Stampin'Up! are having another 24hr flash sale tomorrow 28th November 2016. Below are a list of the products included in tomorrows flash sale with the item numbers and price.